Opportunities to Visit with and Hear Jake! CLICK TO SCHEDULE A READING WITH JAKE AT THE CONFERENCE! 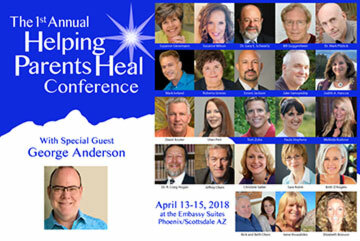 Jake will be doing a workshop and will be scheduling readings for the Helping Parents Heal First Annual Conference in Scottsdale, Arizona. Jake’s Workshop: What is the Afterlife Like, and What Do Your Children Do There? Description: Jake provides an intense interactive 75-minute discussion of validations of communications from those who now live on the Spirit side of life. What do your children do there, how do they spend their time, do they know how much you miss them, what are the signs they send and how can you ask for more signs and interactions with your loved one and so many other questions that need to be answered. There will be time for questions and answers. This informative conversation may just change your life!